The bathroom is one of the rooms in the house that often doesn't get the attention that it needs when it comes to design and decor. Yet it is one of the most important rooms in the house. 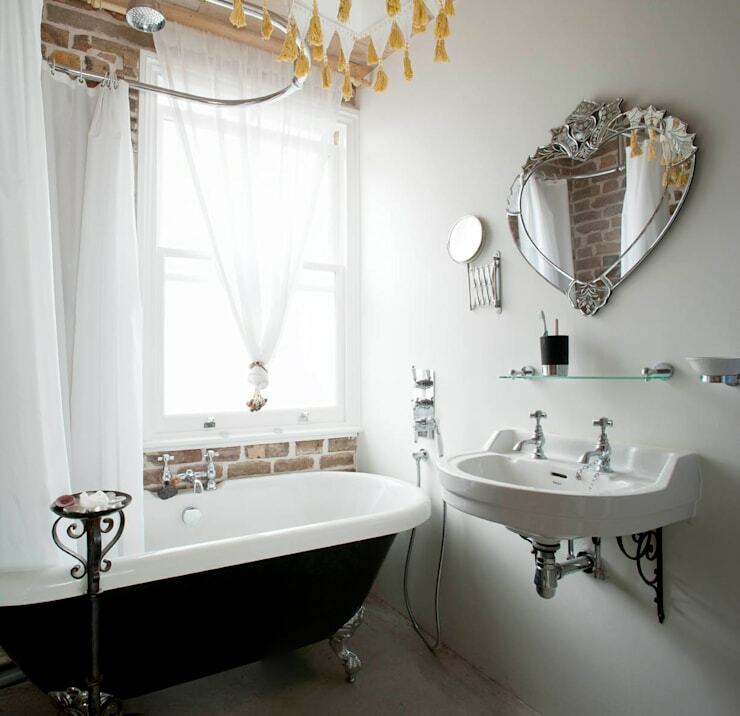 A bathroom should be elegant and enticing! 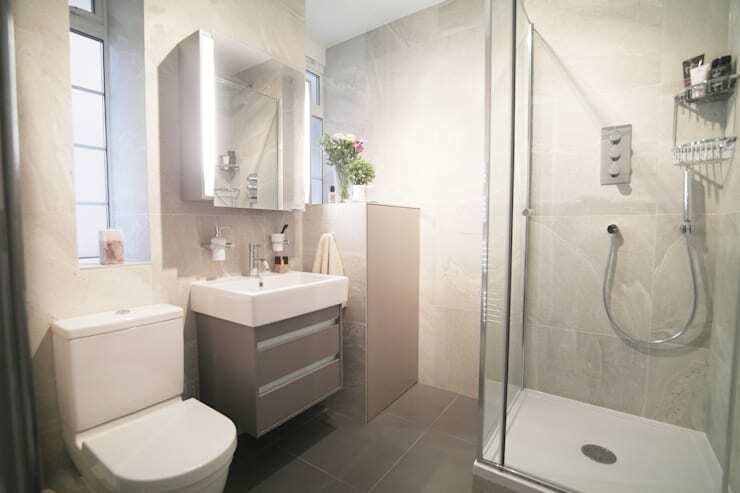 What's more is that you don't have to have a huge space to have a gorgeous bathroom. You can get a little bit creative and innovative and really create a space that suits your tastes, without worrying about size. What you should do, however, is make sure that the pattern and style of your bathroom decor works in harmony with the interior design of the rest of the house. You want to create a little bit of coherence between spaces, especially when it comes to the basic elements. Yet a bathroom differs from the design of any other room in the house because of the elements that it houses. This is why today at homify, we have put together a range of designs for a number of sparkling bathrooms by top professionals from around the world. These will inspire you when it comes to designing your home bathroom! 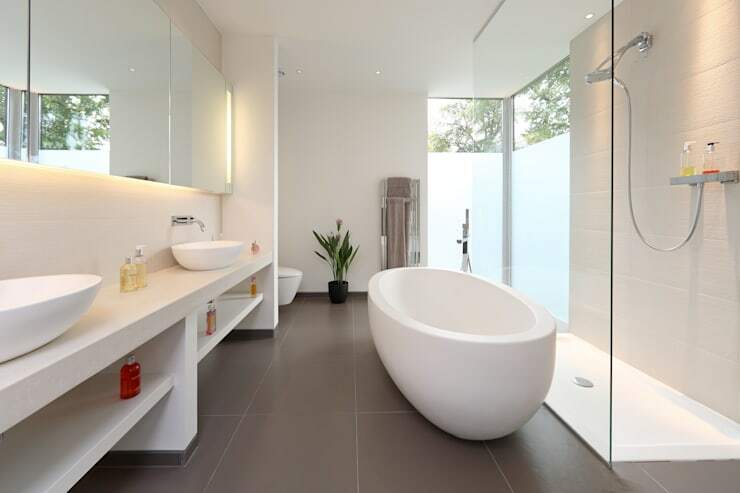 In this multi-purpose bathroom, we can see how natural light flows through the large glass window, providing this space with ambiance and a refreshing look and feel. Don't you love the comfortable-looking window seat? In this distinctive design, we can see how a rectangle bathroom has been designed in a very innovative way. A basin bathtub has bee installed while the glass shower makes for a very modern and edgy look and feel. Don't you love the shelves, which allow towels, soaps and other products to be stored away neatly? This silver bath makes for a very classic and luxurious look and feel. The glossy design works in harmony with the natural light and the white floors and walls to create a very unique space. Look at how spacious it looks too! 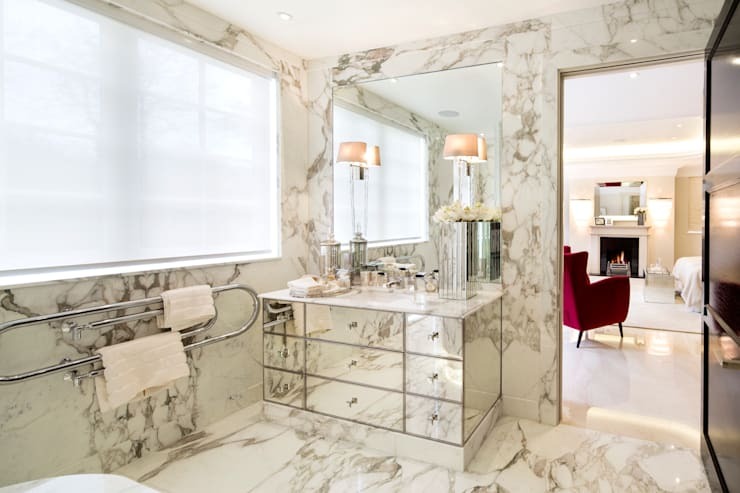 This distinctive bathroom is characterised by luxury thanks to the marble finishes in black and white. It works in harmony with the large glass window, which allows natural light to stream in throughout the day. Tip: If two of you share a bathroom, opt for two basins instead of one. 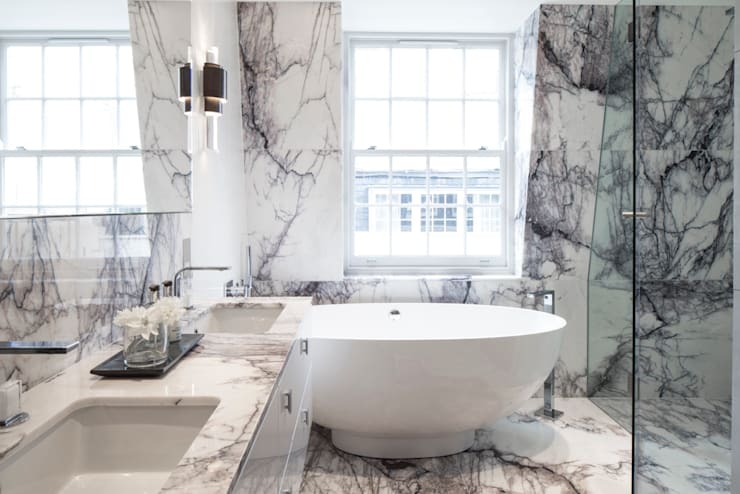 This bathroom design is unique and funky, decorated almost entirely in marble. A large glass mirror has been installed on top of the sink, working in harmony with the glass mirrored drawers. Lighting has been utilised to really enhance these features. Dark colours can add a touch of elegance to a bathroom, as we can see in this gorgeous design. The black marble wall and floor create a luxurious space, which is broken up by the white basin. In this design, we can see how a very simple bath/shower has been enhanced by the lighting installed throughout the space. A wooden cabinet also adds a touch of warmth and elegance. 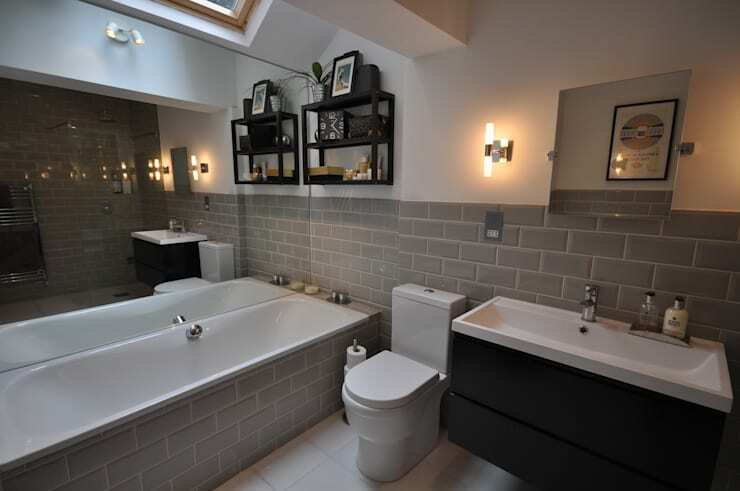 The colours used in this bathroom are very appropriate when it comes to a stylish, Scandinavian design. The wooden floors, dark furniture and distinctive white oval bathtub come together in perfect harmony, making for a very relaxing space. It can be a wonderful idea to use the same material and colours for the floors and walls, especially in small bathrooms. Here we can see how glossy ceramic tiles in light beige work in harmony with the glass shower cabin. 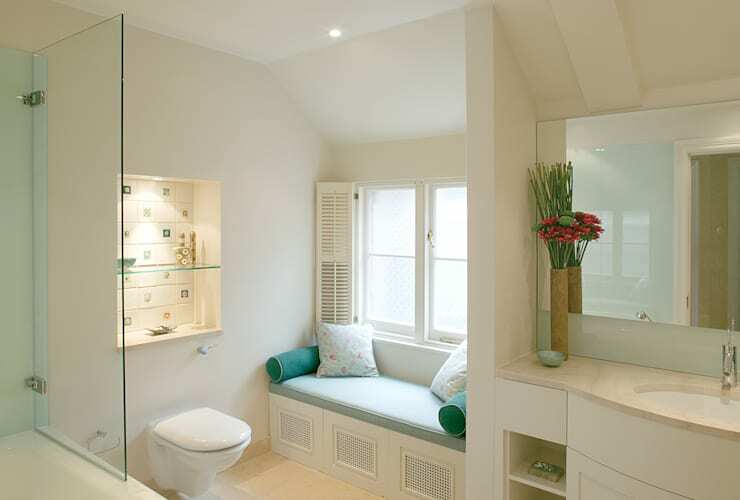 Tip: Opt for plenty of storage in your bathroom to keep the space neat and tidy. As we know, white has the effect of creating a space that seems bigger than it really is. Why not pair it with exposed bricks to create an industrial chic look and feel? This is economical and trendy! 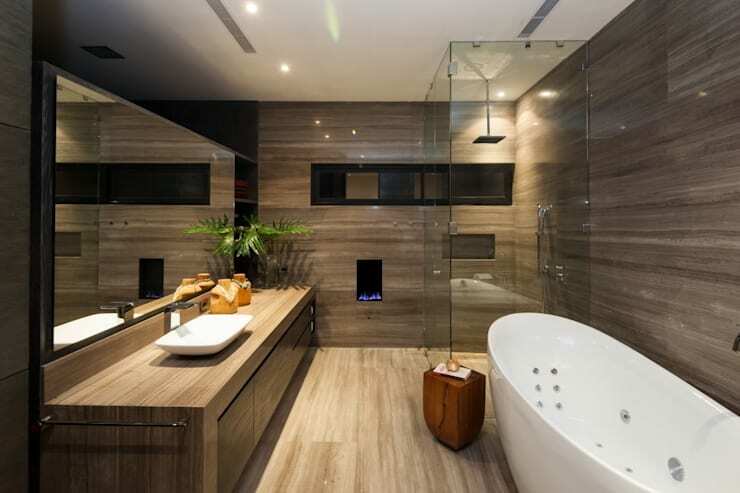 The use of wood throughout this bathroom is very simple, but with incredible results. It makes for a very warm and serene space that instantly makes you feel relaxed. The green pot plant is the cherry on top! 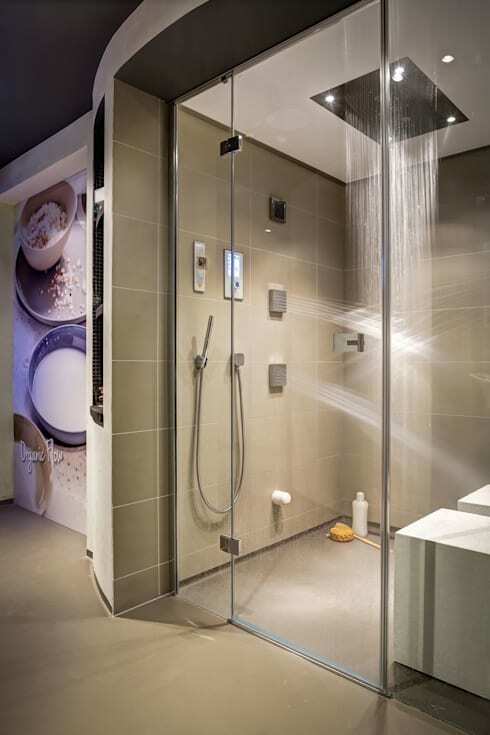 This wonderful shower shows just how important it is to have a modern shower with glass doors, giving a very distinctive touch to the bathroom. In this special and unique design, we can see how small stones have been used along the bottom of the wall as well as the wall of the bathtub. This works in harmony with the wooden shelves and the accessories used to decorate this space. 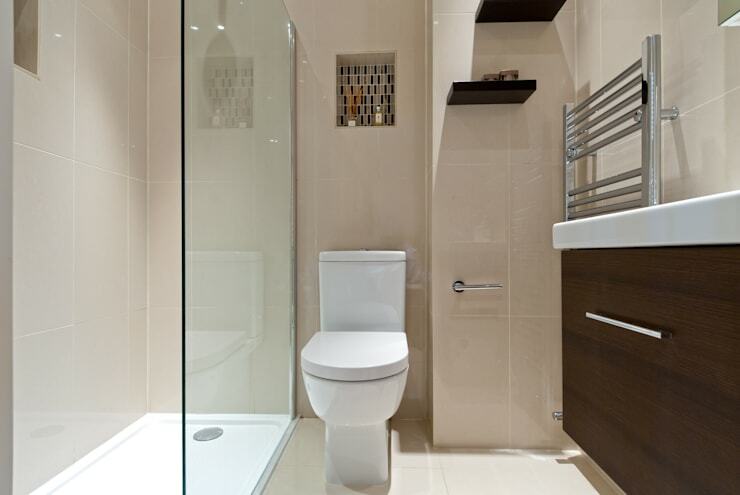 It is clear in this design that some distinctive colours can be used to strengthen the feeling of a spacious bathroom. 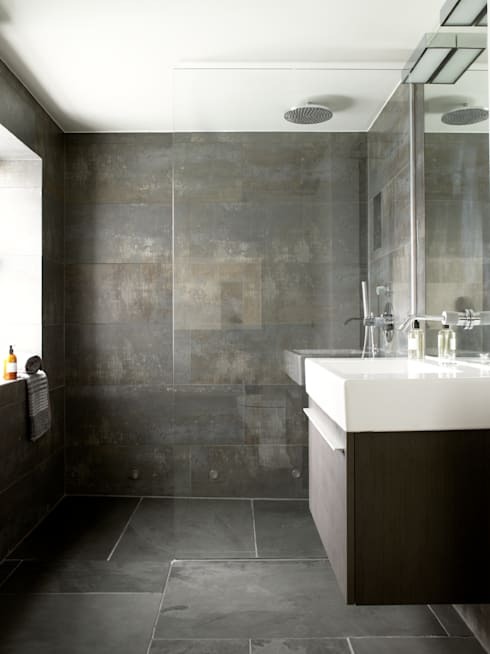 We suggest opting for lighter colours as well as a lot of glass, creating a very distinctive bathroom. Also have a look at these brilliant, beautiful bathroom trends for inspiration. If you've enjoyed this article, you'll love this one too: Wrong decisions in small bathrooms. Which bathroom is your favourite?